MINSK, Belarus (JTA) — The National History Museum of Belarus inaugurated an exhibition about Ariel Sharon. 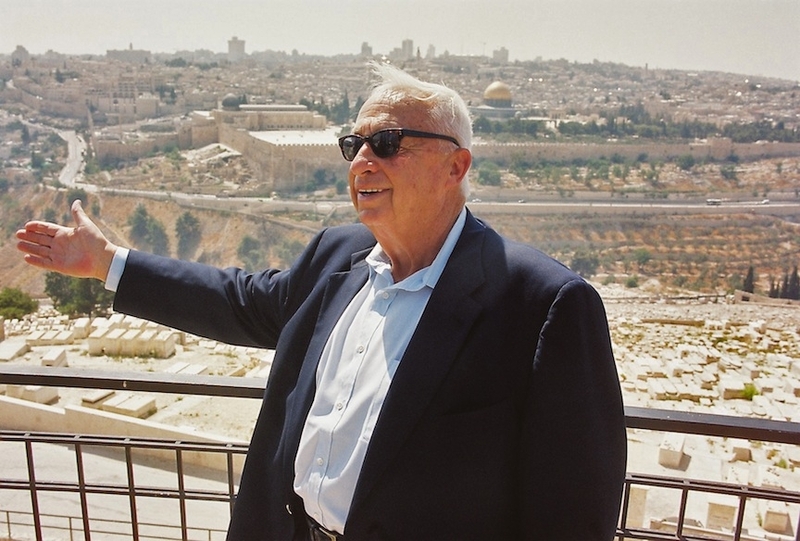 Titled “Profile of a Leader,” the exhibition on the late Israeli prime minister was launched Monday on the entrance floor of the state museum. The ceremony was attended by diplomats, Jewish community leaders and Israeli guests connected to Sharon’s life, including his youngest son, Gilad, and Israel Maimon, who served Sharon’s Cabinet secretary. “Ariel Sharon brought pride to Israel, but also to Belarus, where his roots lay,” said Yuri Ambrazevitch, a senior official of the Belarusian Foreign Ministry. Sharon was born in prestate Israel in 1928; his parents had immigrated there from what is now Belarus. The exhibition — featuring of dozens of photos of Sharon as well as quotes from his speeches and letters — was compiled by the Limmud FSU educational nonprofit. The exhibition on Sharon, a former general and defense minister who died in January after eight years in a coma following a stroke, opened with a quote from his 2005 address before the United Nations General Assembly, months after Israel pulled out of Gaza.